From the poet and theorist André Breton, who famously called Mexico “a surrealist country” after a visit, to European surrealists such as Wolfgang Paalen, Leonora Carrington and Remedios Varo, who settled in Mexico after fleeing World War II, non-Mexican surrealist artists have been drawn to the country’s rich visual culture and history since the birth of the Surrealist Movement. 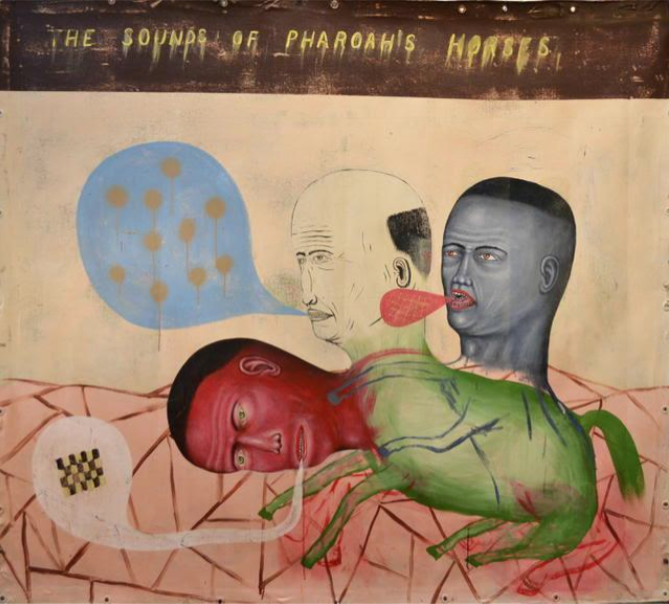 For contemporary U.S. painter Fred Stonehouse, the powerful syncretic Catholic tradition in Mexican folk art, as well as its remarkable ability to reconcile the modern and the ancient in visual culture, create an allure that continues to draw artists interested in dreams and the unconscious to visit and study the country. The NM Contemporáneo gallery in Cuernavaca will display “The Language of Memory,” an exhibition of 17 acrylic paintings by Stonehouse, until Nov. 19. The 17 paintings were created during 2016 specifically for this exhibition, which was organized the Howard Scott Gallery in New York, Stonehouse’s primary dealer. The Howard Scott Gallery has displayed the art of various Mexican artists in the United States, such as Perla Krauze and Carlos Torres. A latter-day surrealist who doesn’t necessarily ascribe to the Surrealist Manifesto, Stonehouse embraces the label and understands it as describing something more general than the European art movement of the 1920s and 1930s. The paintings in “The Language of Memory” exploit the weaknesses of language to explore the relationships between reality, memory and communication. Similar to classic surrealist painters such as Frida Kahlo and Max Ernst, Stonehouse uses the alternative spatial logic of dreams to create experiences of the body that are sometimes violent and sometimes redeeming. “I don’t literally paint dreams, but I’ll take that logic, and certain imagery and interesting juxtapositions that occur in dreams, and I’ll use that language, that vocabulary, that dream logic in the way I build my paintings,” he said. Stonehouse speaks of surrealist painting as a language with a vocabulary of its own, but most of the pieces in “The Language of Memory” also contain text. In Stonehouse’s paintings, text functions not as a caption, or a key to be deciphered, but rather as an object that interacts with the images and opens up new paths of understanding and experience. Stonehouse told The News that in his earlier work, he wrote text in his paintings in Spanish, intending to slow down the process of comprehension for his U.S. viewers. Whether in Spanish or English, text in Stonehouse’s paintings defamiliarizes the images in the painting, forcing viewers to straddle interpretation in two systems of signs and destabilize correlations that we take for granted. By playing with viewers’ comprehension, Stonehouse extends his control over his art’s meaning; he goes beyond the presentation of static images to be interpreted, and paints on the plane of interpretation itself. NM Contemporáneo is located in Cuernavaca, Morelos at Juan Ruiz de Alarcón No. 13, Centro and is open Tuesday to Saturday from 11 a.m. to 7 p.m.